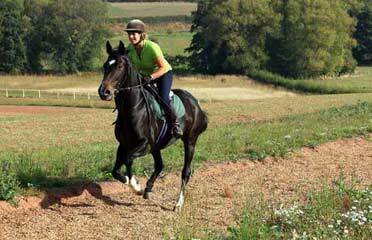 A farmer and instructor/competition rider who got together, got married and with their knowledge and experience formed Rowley Racing. We start with handling, breaking, and pre-training right through to producing and training Point to Pointers and Hunter Chasers to race and hopefully win! Our main ethos is to treat every horse as an individual and train them in such a way that we can bring the best out in them however unorthodox that sometimes may be! Predominately thoroughbreds that come from the Irish, English and French sales throughout the spring and summer Most breaking work is for National Hunt yards, and the majority of the broken horses will then stay on and continue the next stage of their education which is the Pre-training leading towards their first trip to the racecourse. The Point to Pointers are a mixture of older form horses and a selection of young and un-raced horses that are bought as investments to run and sell. We have a core of stable stars that keep reappearing each season and the young ones are constantly changing – this is what keeps the yard vibrant and exciting. Small or large syndicates for serious players or for those in it for the fun and social! We have syndicates tailored to cater for individual requirements. Usually a one-off payment at the beginning of the season with no hidden extras and no monthly bills, so once paid up you can just sit back and enjoy the ride! Jump schooling happens well into the horses fitness programme, to prep them for their first trip to the racecourse, whether they are seasoned campaigners or first time runners. Our owners race in peace knowing that the homework has been done! Phil is an extremely good stockman, having had cattle and sheep all his life, and so has a very natural feel for an animals general wellbeing. As well as training the racehorses, Mel has trained and competed to Grand Prix level in Dressage and still tries to fit in as such as she can. 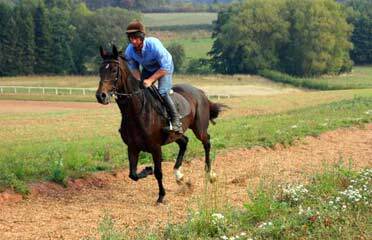 Our stable jockey does agreat job of getting many of our runners over the finish line first. 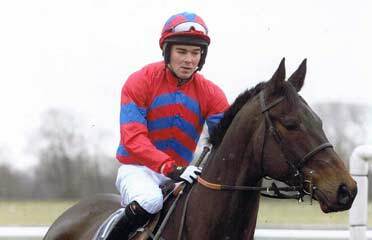 3rd in Foxhunters at Cheltenham and has won Lady Dudley cup, John Corbet cup and Timico Open just to name a few. We work as a single united team with leading trainers across the country and give our clients the highest quality advice possible.